I’ve been meaning to comment for sometime now. 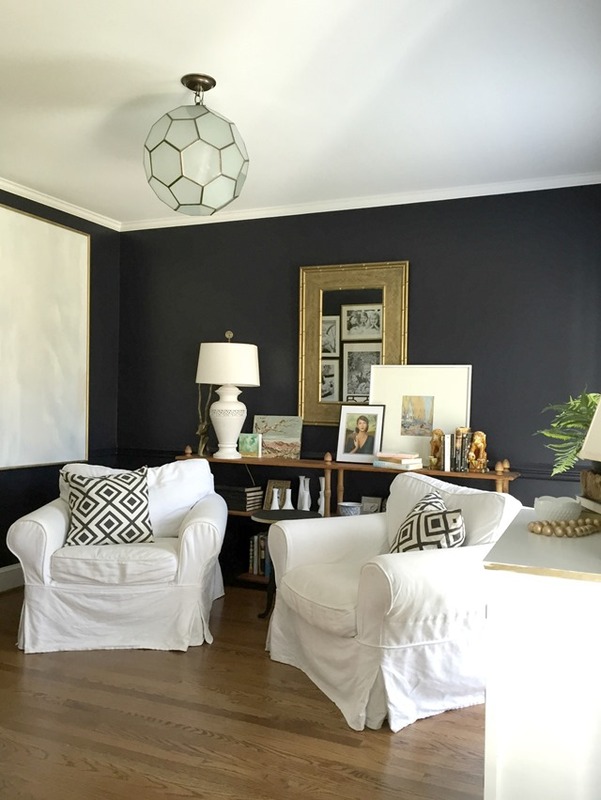 I just want to give you props for creating a Stunning space – while also maintain a personal, lived in feel. 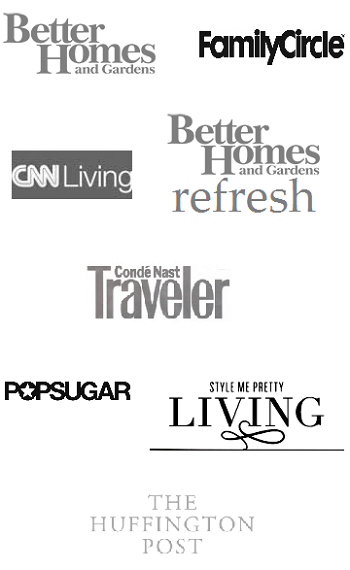 So many of these blogs are beautiful, but they look more like a catalog for Home Goods and ultimately more generic. 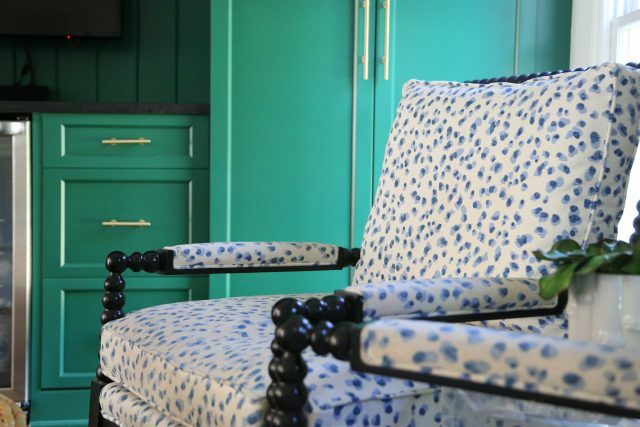 I love all of your personal touches–kids artwork, family photos, sentimental items; all of which make your beautifully styled home have a personality. 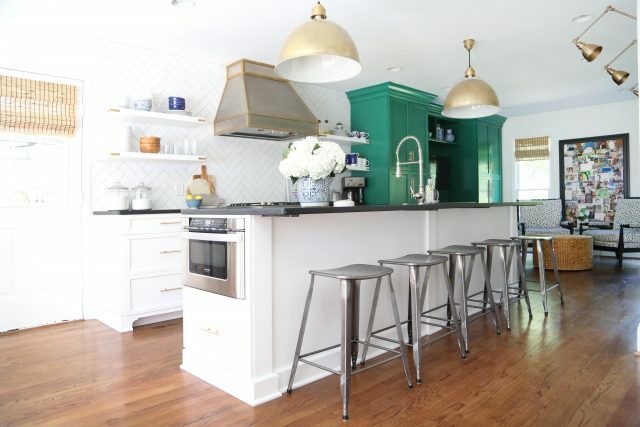 I absolutely love all of the finishes and bold green in your kitchen! 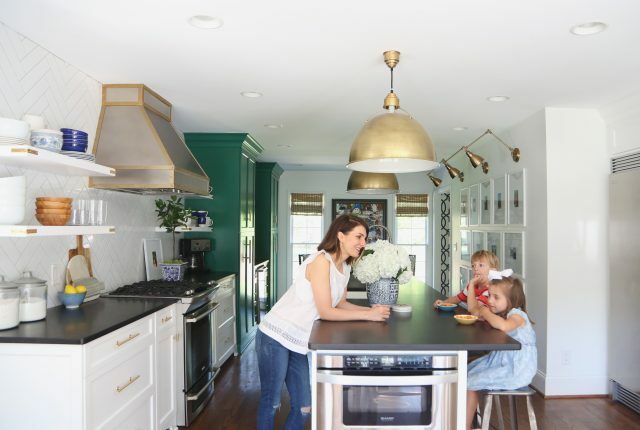 Do you mind sharing who you used as your kitchen designer? It’s beautiful! This is just SO BEAUTIFUL! My question is — your whole family eats at the table? Is it large enough for hosting? Like, even if you have one other family over you’ll have 10+ people. 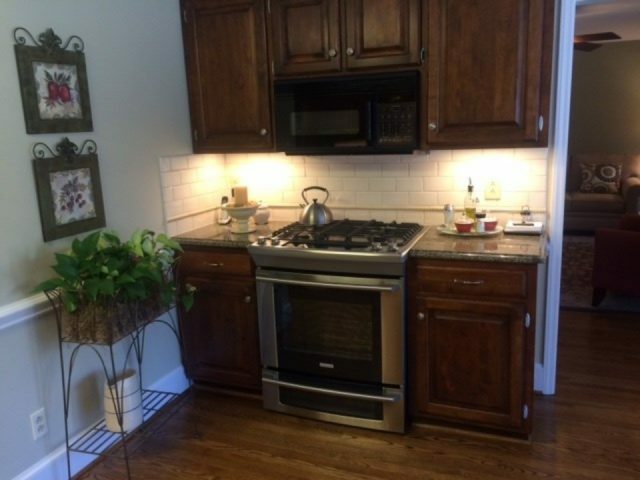 I want to renovate our kitchen (we live in an adjacent neighborhood to John and Sherry Petersik and have the same layout as they do!) 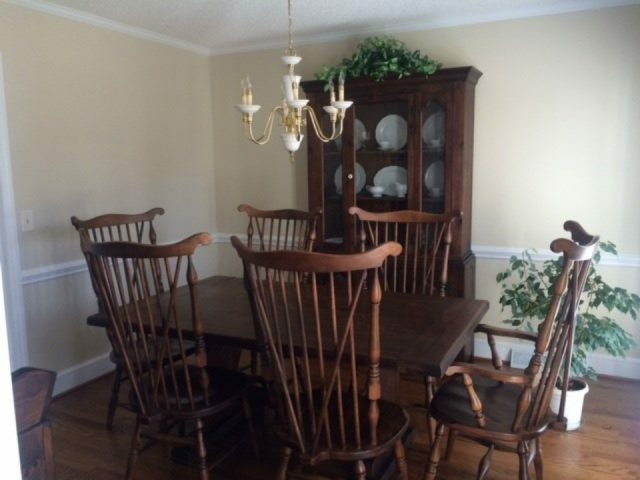 but I am hesitant to get rid of our dining room because we OFTEN host 10-15+ people. It’s just sooooo good! Love it! Beautiful kitchen and thanks so much for posting this. Now I can go back to your previous post and make sense of it – of course the photos were beautiful in that post but I was lost and couldn’t figure out what was what! 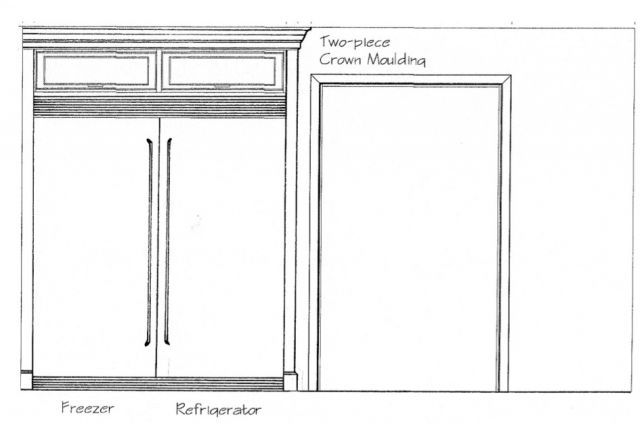 Emily I am looking into redoing my kitchen and was wondering if you could share the dimensions of yours (width and length). I love the integration of a seating area on one end and dining on the other. 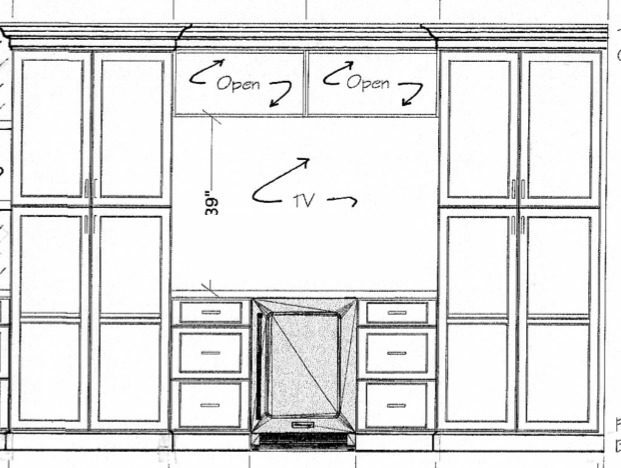 I guess my real question other than how long is your room is how much space is between the wall and the island and then the island to the back counter. Thanks for any help! Would you mind giving dimensions of your beautiful kitchen? 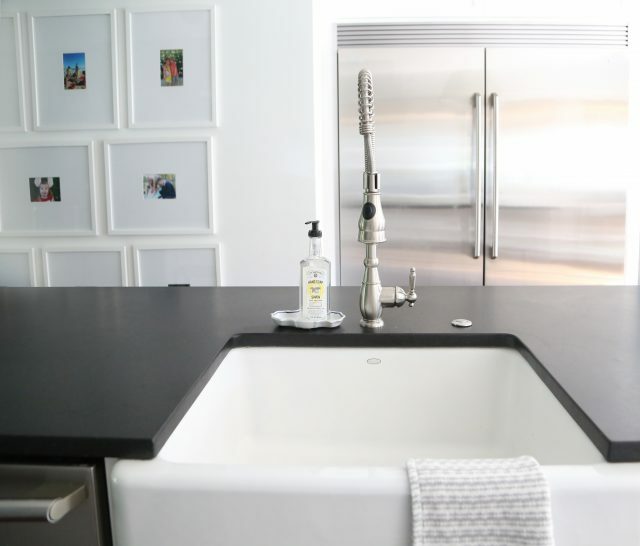 ?I am hoping to renovate my kitchen to something very similar. Best kitchen remodel EVER. I love this design and the well thought out placement for everyday life. 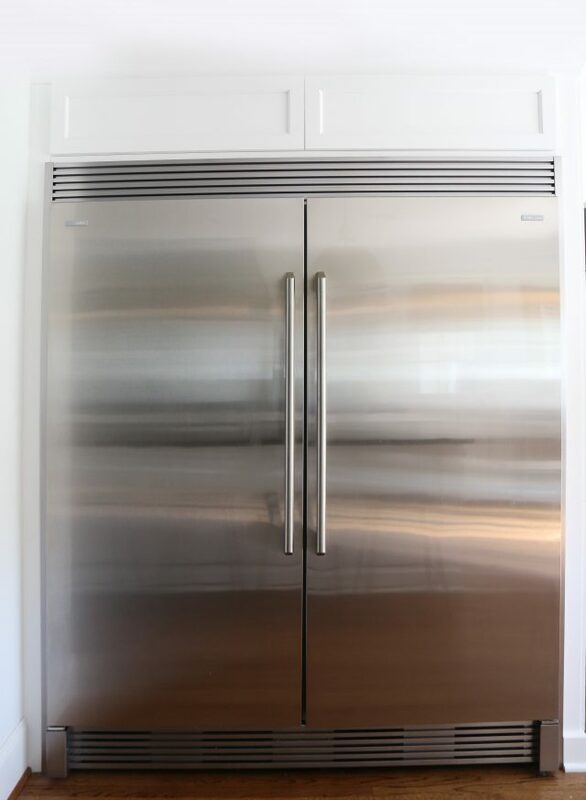 I live in a 5 over 4 with a door too and this kitchen is my inspiration for my someday kitchen remodel . 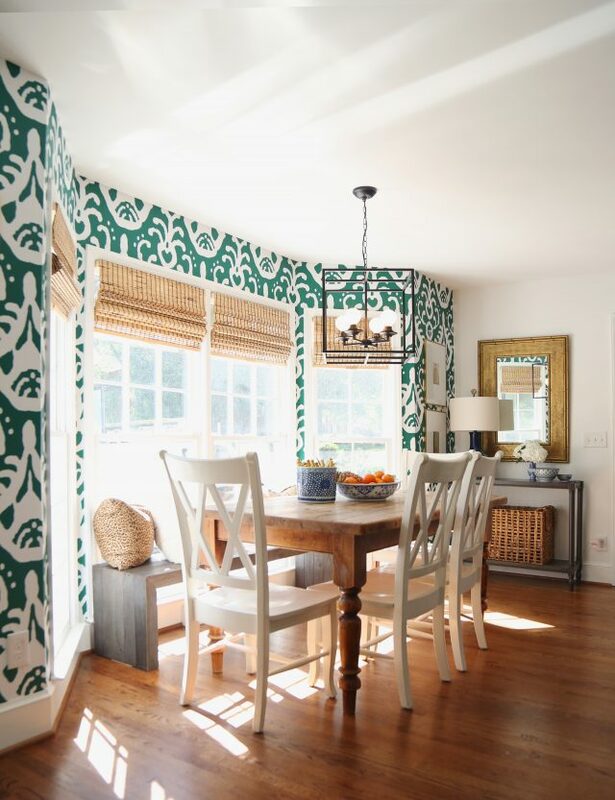 This space is really lovely and looks so workable for a family. 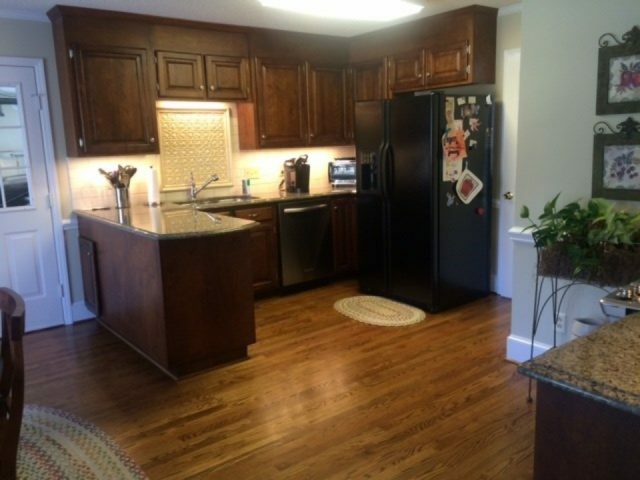 My one question would be do you like having your kitchen so open when you enter your house? 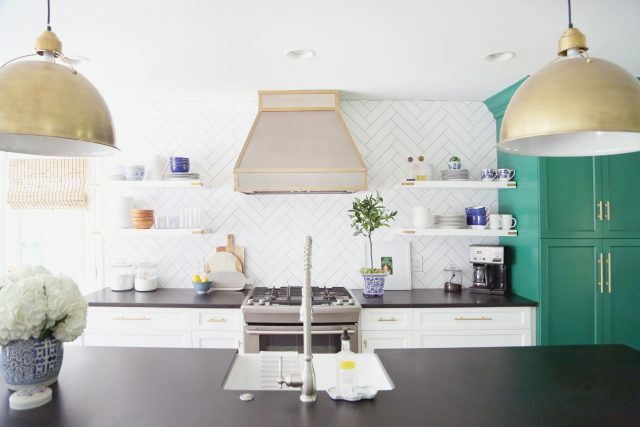 I am assuming your front door is right by the green part of the kitchen…I am such a mess maker in the kitchen sometimes that I might be anxious about having it so visible. Of course, if I had a space to bring the mail, purses and book bags into without my kitchen being the dumpsite for all of that it would help tremendously! 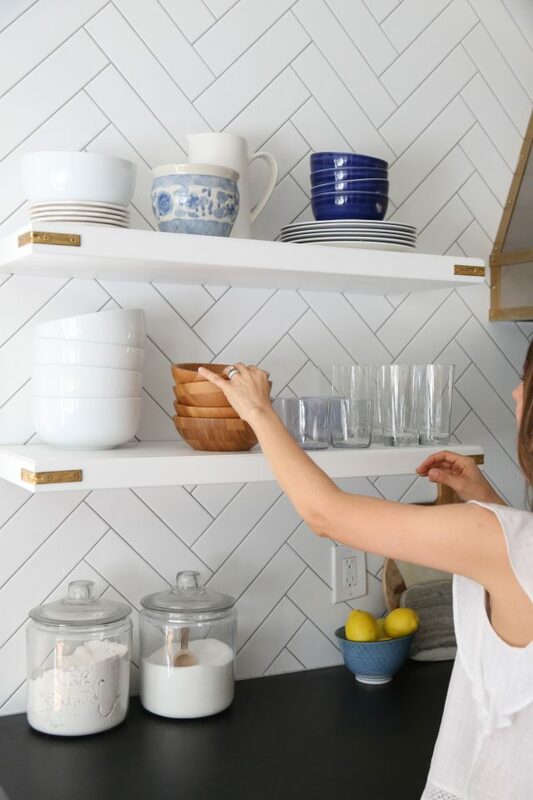 Any thoughts on where to put the things you use daily without it becoming a fixture in the kitchen? I am in love with your kitchen!!! The kitchen upgrade, shortly after you moved in, did you paint the cabinets or get new ones? I can’t remember even though i’ve been following you for some time now. I just found the answer :) Nevermind. I really like the lighting fixtures as they are so cool and modern looking. I detest a school house light because of how little light you actually get from it. So glad that the kitchen works out for your family of 7. It’s fantastic looking. Love your choice of colors. Thanks for this post-loved how detailed you got! 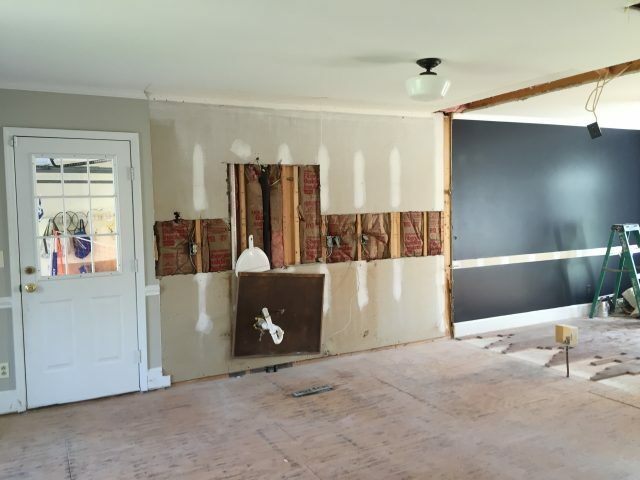 So innovative getting rid of the formal dining and extending the kitchen that way! I’ve saved all of it on my Pinterest board for inspiration. 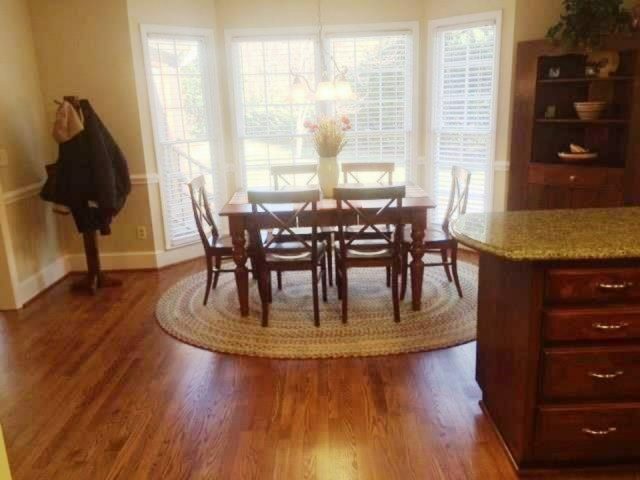 My kitchen/dining room is laid out the same and I’d love to combine the 2 like you did. 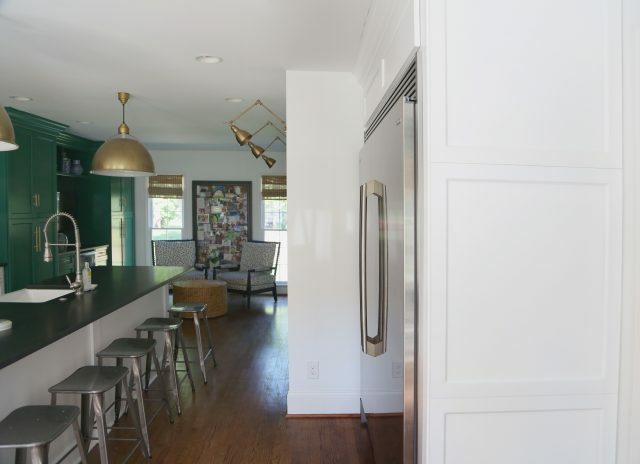 Not only is your layout innovative, but the green cabs, gallery wall and the sitting area. Love it all! I’ve been following you through 3? houses now and its so cool to see how your style has evolved! Always one of my style inspirations! Thanks for sharing!! Thank you, Kim! Hoping we’re in this house to stay (for a long while…). Your kitchen turned out beautifully. I’m surprised you used a kitchen designer. At some point I want to do my 20 year old kitchen. My husband thinks we can do it ourselves. 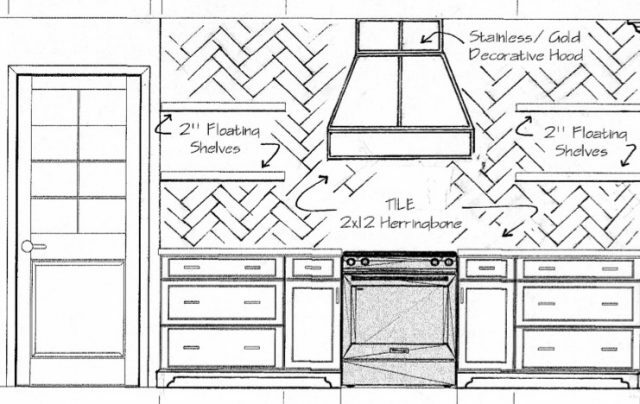 Maybe you can write about what a kitchen designer can bring to a project. And what percent it adds to the cost of the project. Such a well thought out kitchen, Emily! 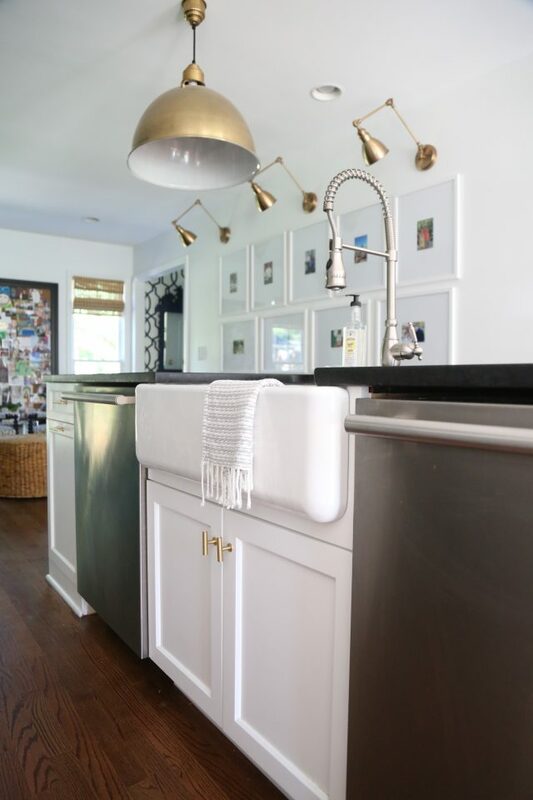 Would you mind sharing the white paint color you used on your island/cabinets? My contractor had them sprayed before he brought them in and I just told him white. Ha, I love it! 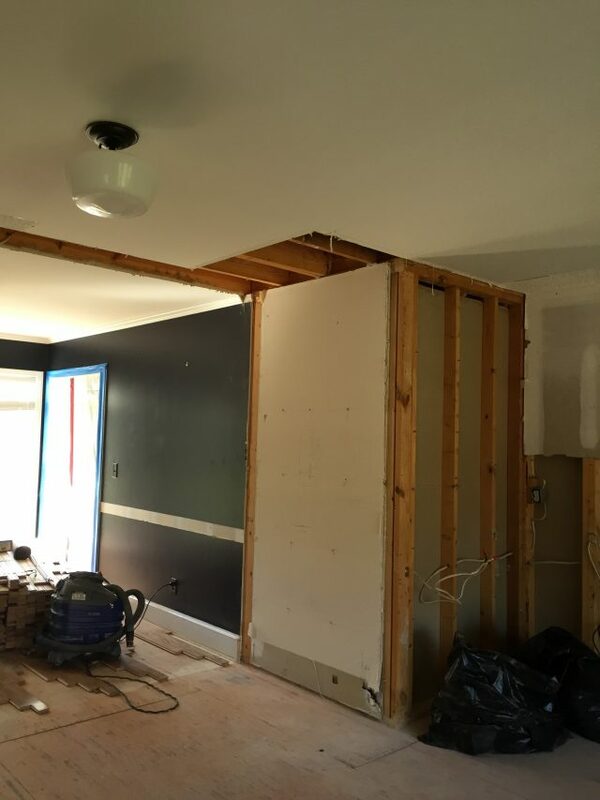 One less decision would be great for me at this point in our reno! Thanks for the reply. Loved this post, Emily! Layout, design and function is always so fascinating to me. Interesting to see what and how you made each decision. 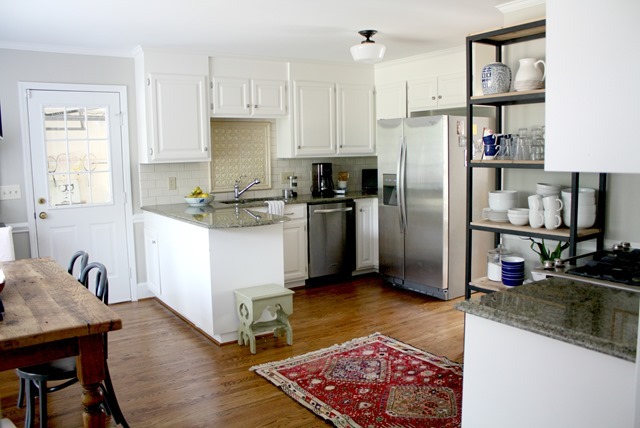 I love your kitchen layout/remodel! And I just love your style too-so “non-Stepford”! 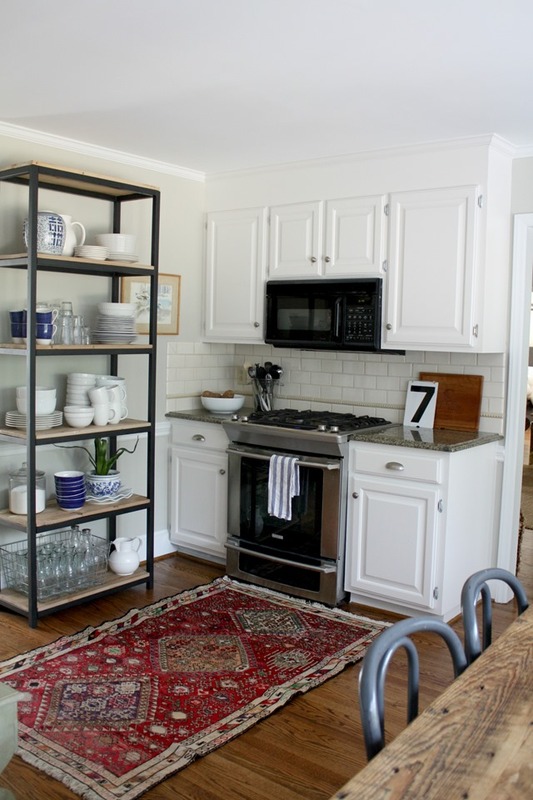 While I LOVE the current what I call “Stepford” look (white cabinets, subway tile, white slipcovered furniture,etc.) that I see everywhere, you’ve inspired me to add a unique style to it. 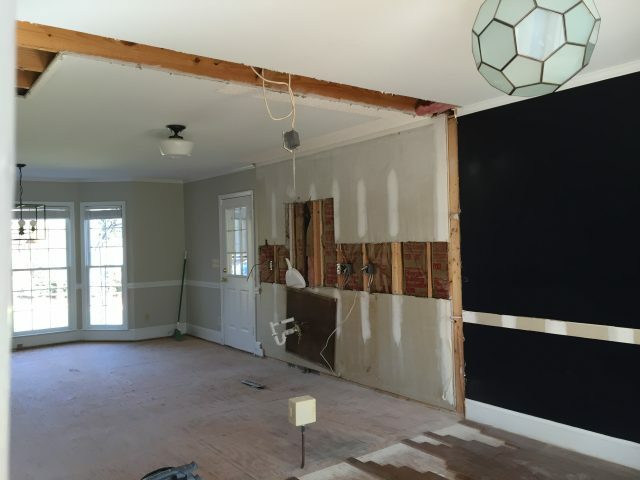 It makes so much sense to expand the kitchen (a room used so often) into the formal dining room (a room way pay a mortgage to use once per year)…I just moved into a 1790 reproduction salt box colonial and I too changed our formal (and tiny!) dining room into a home office. 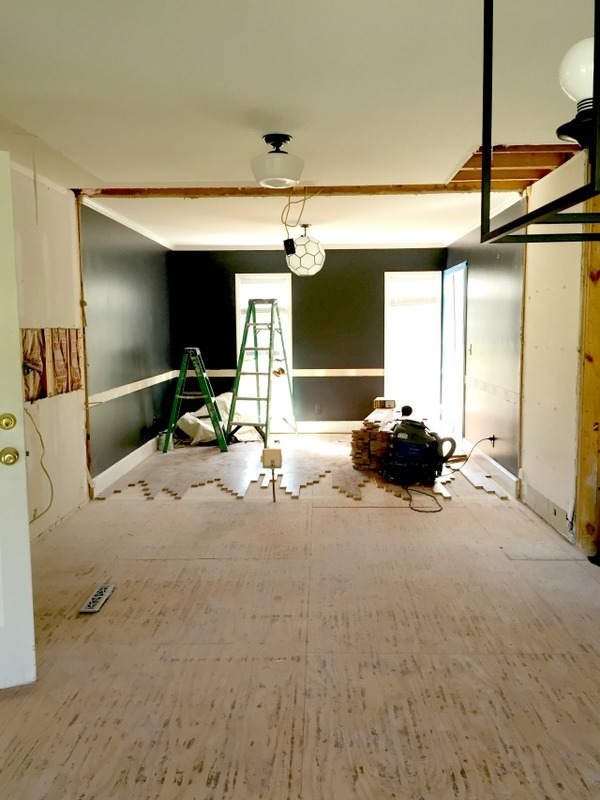 Instead of having a formal living room and family room, I used the larger living room as the “great room” and put a large farm table in what was our family room to create an entertaining space. 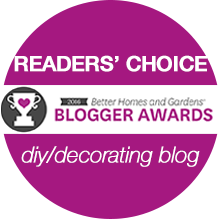 I have a lot of plans for the entertaining space but that will take some time, as it always does:) I read your blog regularly and thank you for being so real and authentic. 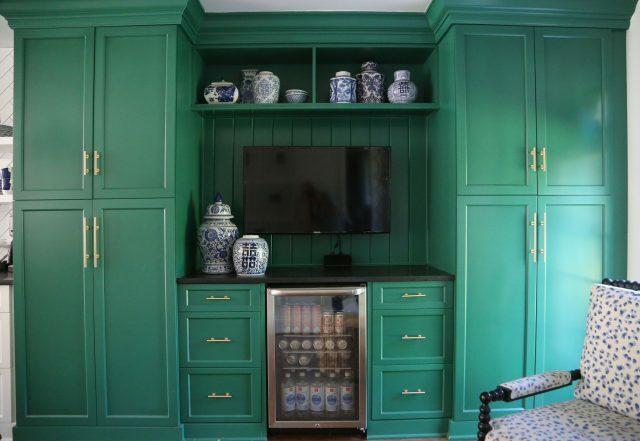 I have been DYING to find out what color your green cabinets are! PLEASE SHARE!!! 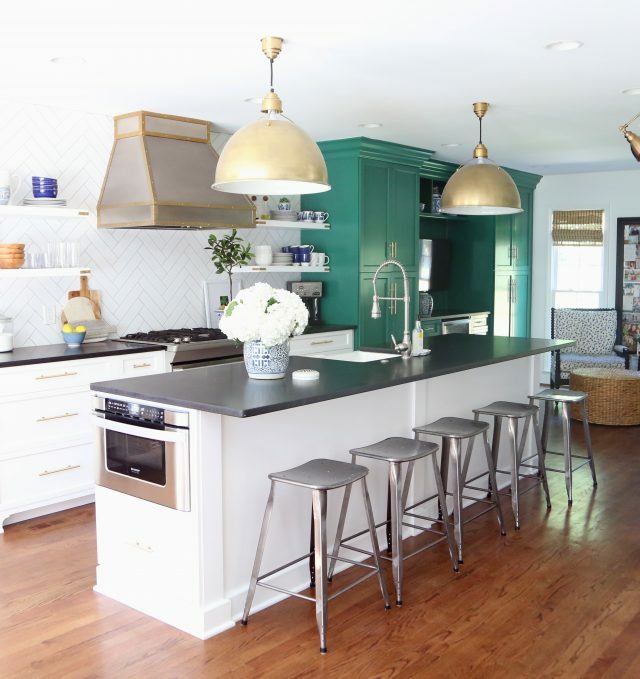 Beautiful kitchen Emily…where are your simple metal barstools from? Would love a source on those!